Robin Hood is making a comeback. The latest take on the folk tale hits cinema screens this winter (November 23). It’s a darker, more adventure-based retelling of the traditional story, starring The Kingsman‘s Taron Egerton in the lead role and produced by Leonardo DiCaprio. The film comes off the back of the opening of the new Sherwood Forest Visitor Centre, a new £5m facility in partnership with the RSPB, which opens to the public late August this year. We had a preview, writing an article for a forthcoming issue of Family Traveller magazine. We also visited Creswell Crags, where Robin Hood is alleged to have hidden in the Ice Age caves [pictured above]. Local history expert John Charlesworth told us how the Robin Hood story has always been a favourite of cinema audiences. The American actor Errol Flynn played the outlaw with verve in the 1938 classic The Adventures of Robin Hood, while the last film, starring Russell Crowe as the man in Lincoln green was released in 2010. There was even a 1960’s Canadian cartoon series, Rocket Robin Hood, which finds Robin living on the Sherwood asteroid in outer space. Read more in the autumn issue of Family Traveller magazine. Liked this? Try also Following the Robin Hood trail around Nottinghamshire. In Sherwood Forest all paths lead to the Major Oak. The 900-year-old tree towers over the green shoots of the forest like an elder statesman on the bright spring morning of my visit. Meanwhile, a crowd of appreciative onlookers snake a meandering trail from the visitors’ centre to gaze upon the place where the Britain’s best-loved outlaw and his band of merry men allegedly made their home. Sherwood Forest was the largest of 90 royal forests created by William the Conqueror and once covered most of Nottinghamshire north of the River Trent. From the 12th to 14th century, when the Sheriff of Nottingham enforced a strict forest law to protect the king’s livestock, Sherwood became home to numerous highwaymen. They hunted for animals and robbed passing travellers along the erstwhile Great North Road — now the present-day A1. The Major Oak is my starting point today to follow a new interactive audio trail, In the Footsteps of Robin Hood. It retraces the trail blazed across the Nottinghamshire countryside by the character that has evolved from medieval folk tale to TV action hero via various incarnations on the silver screen. Joining me to follow in the footsteps of Robin Hood’s is John Charlesworth, an expert in local history, who acted as a consultant to the development of the trail. “Personally I believe Robin was a real outlaw, not just a fictional character,” says John. The trail is based around seven key sites, forming a triangular route from Sherwood Forest via Nottingham Castle in central Nottingham to Clumber Park near the town of Worksop. 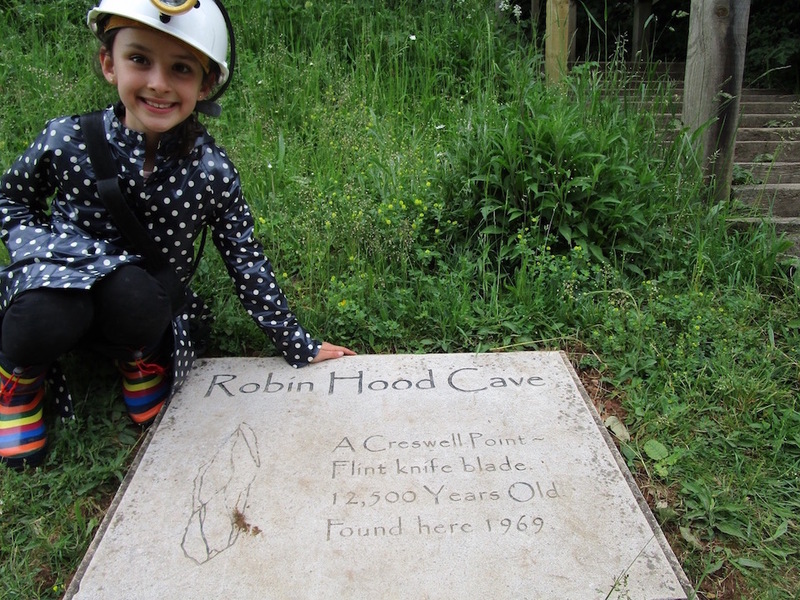 There are also three new walking trails marked off the main route, all of which are designed to help explore the rural reaches of the East Midlands through their connection to the Robin Hood story. At each of the locations a crossbow-shaped interpretation unit adds context to the truth behind the Robin Hood legend via audio-visual material. For the car journey between the sites, you can buy the CD commentary from local tourist offices and check the accompanying map; alternatively download it as a podcast to your iPod and bike your way round following the Sustrans National Cycle Route. From the Major Oak, John and I retrace our steps through the 450-acre forest, following flower-strewn woodland paths and passing heathlands alive with birdlife. We emerge from a clearing into the attractive village of Edwinstowe, home to a slew of places to stay and eat on the fringe of Sherwood Forest. From here we take to the car, driving through the rural heart of Nottinghamshire’s Robin Hood country while John explains how one of the original medieval tales, The Gest of Robin Hood, is the basis for the legend as we know it today. The fable tells of Robin’s rivalry with the Sheriff, the legend of splitting a silver arrow with his mastery of the longbow and the eventual pardoning by King Edward. It even includes references to his merry men, including Will Scarlet and Little John, but Friar Tuck and Maid Marian are absent, likely to be latter-day additions as the legend evolved. Heading northeast from Edwinstowe, the next stop is Rufford Abbey, founded in the 12th century by Cistercian monks and later transformed into a country estate for several wealthy local families. Legends suggest that, while Robin famously robbed the rich and gave to the poor, he had an uneasy relationship with the Church of England and the abbey’s crypt, located in the expansive grounds, still contains ancient manuscripts and tapestries with records from Robin’s day. The next stop, Clumber Park, was formerly a major deer-hunting park, where Robin would have hunted in defiance of forest law. The country house was demolished in 1938 but the park remains with its Gothic chapel, wide-open spaces and expansive lake. As we stroll along a serene avenue, where lime trees sway gently in the breeze, John explains how, before the current hit TV series, the Legend of Robin Hood had been a favourite of cinema audiences. The American actor Errol Flynn played the outlaw with verve in the 1938 classic The Adventures of Robin Hood, while a new film, starring Russell Crowe is currently in production. “For me Errol Flynn portrayed Robin Hood best, with great fencing and a superb musical score, but I do have a sneaking fondness for Robin and Marian (1976), staring Sean Connery and Audrey Hepburn,” says John. Our last stop is Cresswell Crags on the trail’s northwest spur, where Robin is alleged to have hidden while fleeing the Sheriff of Nottingham with a bounty on his head. Under forest law, outlaws could be take dead or alive and Robin would have hidden in the dark, dank chambers of the caves to escape both the Sheriff’s men and locals seeking to betray him for a bag of silver. Back in Edwinstowe village we end our journey with a stroll around the churchyard of St Mary’s where, according to the legend’s happy ending, Robin and Maid Marian were finally married. “For me the way Robin reflects our modern-day issues is what makes him such a fascinating character,” says John as we say our farewells. This story was first published in Ink in-flight magazines in 2007. Liked this? Try also Light Night in Nottingham. Nottingham hosts its annual Light Night this Friday. It’s a nigh of public art and illuminations to bring the city to life in midwinter. I recently had a preview of plans for the night and, over a weekend, discovered why Nottingham should be on your bucket list this year. Read my article for Rough Guides, Why now is the time to visit Nottingham. The British Midlands is the unlikely setting for a new cultural revolution. The formerly industrial cities of Nottingham, Leicester and Derby have been slowly re-inventing themselves in recent years with the opening of boutique hotels and chic eateries. The cultural renaissance comes full circle this year with a triumvirate of new arts hubs to showcase the burgeoning Midlands arts scene. Derby’s QUAD, the first to open, combines gallery spaces, two independent cinema screens and multi-media facilities. In April it plays host to the Format’09 International Photography Festival, featuring works by David Lynch and Cindy Sherman. Leicester’s Curve opened late 2008 and features an innovative ‘inside-out’ design, whereby audience members and actors break down traditional dramatic divisions. The Light In The Piazza, the European premiere of a romantic musical evoking the glamour of 1950s’ Florence, runs April into May. The final opening, Nottingham Contemporary [its bookshop pictured above], has been pushed back to September 2009, but exhibitions are currently running in various Nottingham venues as a preview. The landmark gallery, built at the entrance to Nottingham’s famous Lace Market, will be the largest single gallery space in the East Midlands. The venues bring outstanding architectural design to the region. They offer a range of facilities to attract internationally renowned artists and encourage local people to get involved with the arts. This story was first published in High Life magazine in 2008. Liked this? Try also Urban Regeneration in Derby.